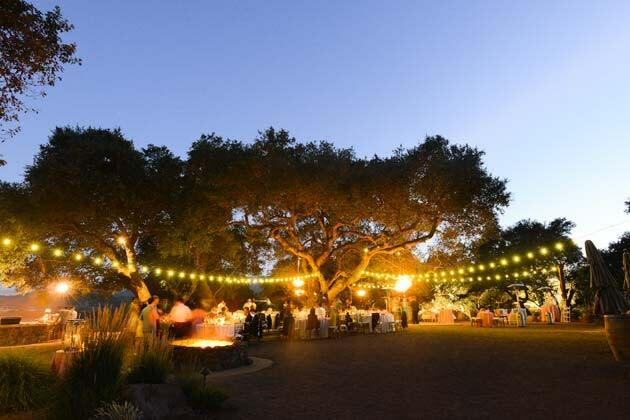 Here’s a quick look at three possible styles for saying ‘I do’ to the one you love in Sonoma Valley. Romantic, elegant, and timeless, Kenwood Community Church and fellowship hall offer the intimacy of a small village chapel with room for more than 100 people. A stately steeple, bell tower, and antique stained-glass windows welcome you and your guests. In the garden, a century-old walnut tree creates a gorgeous setting for photographs, an outdoor reception, or even an outdoor ceremony. St. Andrew Presbyterian Church provides a beautiful contemporary country church setting, with seating for 260 people. Topped with a white steeple and cross, the architectural award-winning facility features modern, clean lines and lots of natural light. The five-foot-wide, 27-foot-long aisle between the pews makes for a beautifully dramatic entrance by the bride. Trinity Episcopal Church offers three different ceremony settings — its architecturally stunning wood-framed sanctuary (padded pew seating for 125 people), outdoors in the redwood grove and labyrinth (for small groups), or in Abbott Courtyard under the shade of sycamore trees (seating for 170 people). Whichever ceremony site you choose, the church’s Buttrum Hall can be configured for any reception. Tie the knot amid the stone walls of the old winery ruins at Jack London State Historic Park with its backdrop of vineyards and rolling hills, on the former ranch of acclaimed author and adventurer Jack London. Say your vows in the calm rustic serenity of the old adobe chapel at Mission San Francisco Solano founded in 1823. The small adobe chapel was built in 1841, on the same site as the original wooden chapel, and holds up to 150 guests. Its authentic décor, vibrant interior colors, and charming exterior create a one-of-a-kind setting for your ceremony and photos. At General Vallejo’s Home the dramatic, two-story Gothic Victorian-style house makes a stately background for your ceremony on the picturesque lawn, amid lush gardens. At Kunde Family Winery, choose from panoramic views on Boot Hill (250 people); the 150-year-old grove of olive trees on the rocky outcrop known as Olive Hill (75 people); Winemaker’s Plaza, nestled under pecan trees and surrounded by beautiful gardens (200 people); the craftsman-styled Hill House with amazing views on its ceremony lawn (60 people); and the intimate wine aging caves located 175 feet underground (50 people). 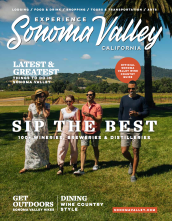 Spectacular views of the southern valley are featured at Viansa Sonoma, which offers a number of wedding settings, including an ivy-covered courtyard and a romantic wine cellar, for up to 400 guests outside or 200 indoors. The incredibly picturesque Chateau St. Jean Winery offers weddings on its Grand Lawn (300 people), Chateau Patio (40 people), beautifully manicured Mediterranean Gardens (300 people), and intimate Rose Garden (100 people for a seated ceremony and 60 for a seated meal).